A Great Escape - just 40 min. from downtown Vancouver, B.C. 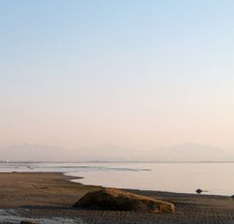 Located in the unique resort and vacation community of Point Roberts, Washington, Maple Meadows Inn is located just south of Vancouver, Canada and the surrounding Lower Mainland area. 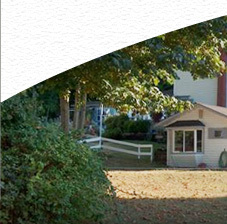 We are 1 block from the tidal beaches of Boundary Bay on five acres - a beautifully treed hillside and serene pastures graced with majestic maples over 200 years old. The historic main house was built in 1910; outbuildings added later have now become our guest cottages. Relax in one of our two private suites with your own separate entrance. 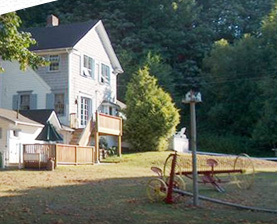 Enjoy a view over the beautiful flower garden and water fountain as you relax in The Pumphouse Cottage (outside view), (inside view), (inside view), or sit on your private deck overlooking the horse pasture in The Milk Parlour (outside view). (inside view), (inside view). Come for the week-end and join in some classes in our beautiful new yoga studio, take a stroll among the herons along Boundary Bay, or check out the many other unique recreational opportunities on our Things To Do page.